Bringing the functionality of nuclear medicine workstations onto the enterprise PACS is a true challenge, with most facilities employing one of three approaches. Nuclear medicine was the first imaging modality to network and go digital. Nuclear medicine images are complex. Studies consist of four dimensions, use color to represent diagnostic information, and require dynamic image display. Sophisticated modality workstations have long allowed nuclear medicine physicians to reconstruct, review, and/or reprocess these studies as the reader desires. However, most facilities find their nuclear medicine workstations aren’t compatible with their PACS. 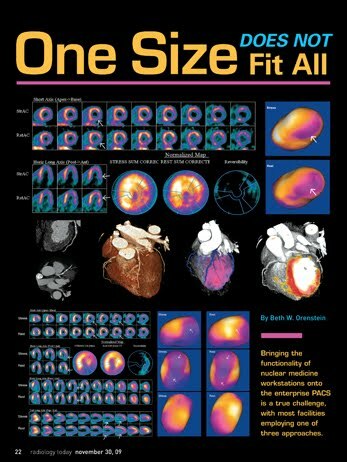 “What makes nuclear medicine/molecular imaging work so effectively is also what breaks PACS,” says Xiaoyi Wang, PhD, president, co-CEO, and cofounder of Thinking Systems Corporation, a PACS company that grew out of radiologists’ need to work with nuclear medicine, PET, ultrasound, and catheterization lab images. Another obstacle to combining nuclear medicine and PACS, Wang says, is that molecular images are formed by collecting radiations from patients that are generated by injecting them with radioactive isotopes. “Compared to other modalities, information available to form images is very limited. To improve image quality, manufacturers have devised their own special technologies. These special technologies often result in proprietary information that no other vendor can support,” he notes. Yet another problem is that many institutions still use “legacy” nuclear medicine equipment from the 1980s and 1990s that do not support DICOM standards for distributing and viewing any kind of medical image. “For such old equipment, it is simply impossible to send images to PACS,” Wang says. “Even many of the devices that claim to be DICOM compatible only support sending screen captures at best.” Connecting these legacy devices to PACS is a major problem for many institutions, he says. Finally, being able to store raw molecular imaging data on PACS and bring the data back to the modality is a challenge. “Most PACS either will not accept raw data or, when you retrieve the raw data back, it is no longer usable,” Wang says. 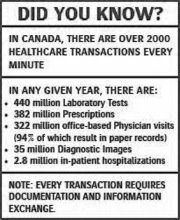 That is why “the majority of healthcare institutions still do not use PACS for archiving molecular imaging data long term. In fact, the majority of nuclear medicine departments still maintain their own archive on CD/DVD, MOD [magneto-optical disks], or mini-PACS,” he explains. In recent years, some solutions to the nuclear medicine/PACS dilemmas have emerged as more hospitals adopt facilitywide PACS and, in many cases, move on to their second- and third-generation systems. To solve the nuclear medicine image management problem, most facilities pursue one of three approaches. One strategy is to use a nuclear medicine-based PACS and viewer that will function as a plug-in feature to the facility’s existing PACS. Thinking Systems’ plug-in to Philips’ iSite PACS is one example of this solution type. Another approach is to deploy and maintain separate systems for PACS and nuclear medicine studies. Many facilities use separate nuclear medicine mini-PACS solutions such as Numa’s NumaLink or NumaStore. The third approach is to use an enterprise PACS designed to be friendly with nuclear medicine images. Thinking Systems’ ThinkingPACS is an example; it allows readers to use the same workstations to view and fuse all studies, regardless of their origin or vendor. Each solution has pluses and minuses, including cost, compatibility, and efficiency of both the technologists’ and physicians’ time. Here’s a look at them and their pros and cons. Having the plug-in has improved workflow tremendously, according to Green. “We have about 22 iSite PACS workstations, and you can now sit at any one of them and read any type of exam, including nuclear medicine studies [eg, general, cardiac, SPECT/CT, and PET/CT]. All of the nuclear medicine images are stored and managed on our regular PACS archives. This means that all nuclear medicine studies, just like general exams on PACS, are part of our daily exam worklists and can be interpreted on any standard PACS workstation via the Thinking Systems plug-in. Comparison exams are always immediately accessible with no reprocessing required by the nuclear medicine technologist.” It also means that the results are available sooner for anxious patients and their families, he adds. There are some nuclear medicine mini-PACS that address connectivity and data storage issues, such as NumaStore software. Think of it as a plug-in to the PACS archive/server that fully supports nuclear medicine and PET/CT, where others offer a plug-in to the PACS display, says Larry Smith, president/owner of Numa. “Numa’s solutions can archive all the data types generated by nuclear medicine and PET/CT and maintain the data with the proprietary information so that the studies can be recalled, reprocessed, or reviewed on a nuclear medicine or molecular imaging workstation,” he says. It can make sense for many facilities to have separate archives for nuclear medicine studies in order to maintain all the capabilities and advanced features available in a molecular imaging workstation, he says. Another reason to have a separate nuclear medicine archive is to keep teaching and research studies separate from the clinical PACS. The NumaStore software application also can be installed on a facility’s existing PACS server and share the archive storage space, Smith says. NumaStore can be configured to automatically pull images from the molecular imaging workstation and forward images that are compatible to the PACS. PACS users and molecular imaging workstation users can query NumaStore for studies, Smith explains. NumaStore supports both DICOM and non-DICOM studies from various vendors and makes them compatible with all the workstations. 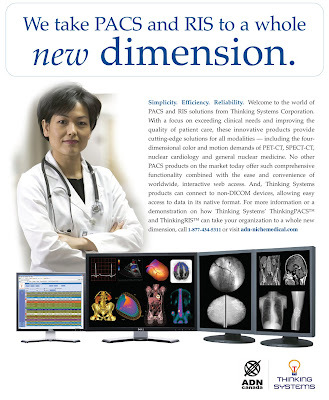 “What makes Thinking Systems’ ThinkingPACS different from other PACS is that our product provides comprehensive PACS/RIS solutions for nuclear medicine/molecular imaging in addition to general radiology and cardiology,” Wang says. 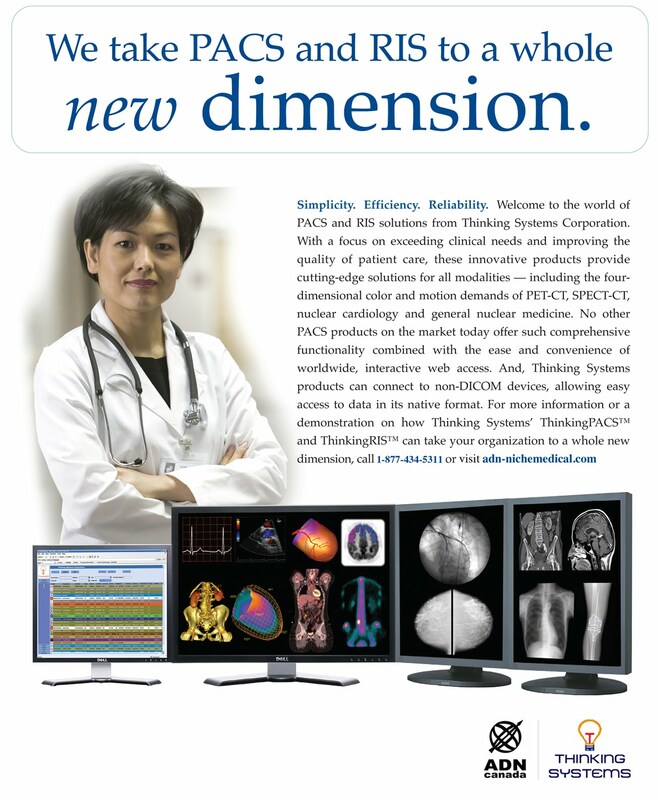 ThinkingPACS has several functions designed for molecular imaging, including the ability to communicate with any vendor’s modality devices, either through DICOM or proprietary communication protocols, and to receive, retrieve, and send all image types in true DICOM or proprietary formats without losing any vendor-specific information. “With ThinkingPACS, you can communicate bidirectionally with other imaging devices in the enterprise and ensure that the data integrity and vendor-specific information are preserved,” Wang says. 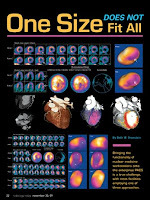 With this nuclear medicine-friendly PACS, physicians are able to do PET/CT fusion, SPECT/CT fusion, nuclear cardiology processing and quantifications, and general nuclear medicine view, processing, and quantifications, he adds. Clinical solutions are available enterprisewide through either thick-client workstations or Web-based thin-client approaches. The disadvantage to this solution is obviously cost. “If an existing PACS is to be replaced by a PACS with comprehensive solutions for nuclear medicine/molecular imaging, such as ThinkingPACS, then there is an obvious cost associated with it,” Wang says. 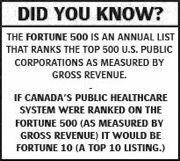 The facility would have to decide whether the cost is justified, which could depend on how many nuclear medicine studies it does per day. Facilities that specialize in cancer may have a higher volume of PET and other nuclear medicine studies. While Thinking Systems was founded specifically to address PACS issues with nuclear medicine images, other companies have taken steps to make their PACS offerings more compatible with the demands of nuclear medicine. Christine Cooper, MS, CNMT, RT(n), director of radiology and cardiology/neurology at Griffin Hospital in Derby, Conn., chose a module by CoActiv Medical Business Solutions to integrate its nuclear medicine studies with its CoActiv PACS. The hospital, which has 26 radiologists, does about 80,000 imaging studies per year, of which nuclear medicine is a relatively small portion, or about 3,600 exams. Still, Cooper finds that the system works well for their needs. “From a labor perspective, it creates a more efficient workflow when you have a central repository. You can hit a button and everything goes to a PACS. CoActiv also offers more advanced options for viewing nuclear medicine studies that allows for an interactive platform, which can solve both issues,” she says. Rasu Shrestha, MD, medical director for imaging informatics at the University of Pittsburgh Medical Center, which has had a Philips iSite nuclear medicine and PACS solution for roughly five years, says it was the best choice for his center that includes 20 hospitals and 30 imaging centers performing more than 2 million imaging studies each year. It has not added the Thinking Systems plug-in to its iSite system. Since mid-July, Carmichael Imaging in Montgomery, Ala., which does about 16 to 20 PET scans, 10 to 12 MRIs, and about 30 CTs per day, has utilized Siemens’ syngo TrueD, a whole-body imaging solution, on its PACS system so it can read any study from anywhere, says Patrick Rucker, MD, one of its three radiologists. The system registers data sets obtained using PET/CT, SPECT/CT, CT, and MR, allowing exams of patients scanned at different times—before and after therapy, for instance—to be compared. The one disadvantage to adopting the new system, Rucker says, “is that you have to replace your PACS and go through the update process, but I had no interaction with that,” he says. Beth W. Orenstein is a freelance medical writer based in Northampton, Pa. She is a regular contributor to Radiology Today. News: Thinking Systems™ takes PACS and RIS to a whole new dimension.